Experience a totally new way to collect leads online. Supercharge, pump, double your leads. Beautifully crafted by lead gen-addicted guys. User Experience is a metric for us. Don’t give up important info in order to collect more leads. 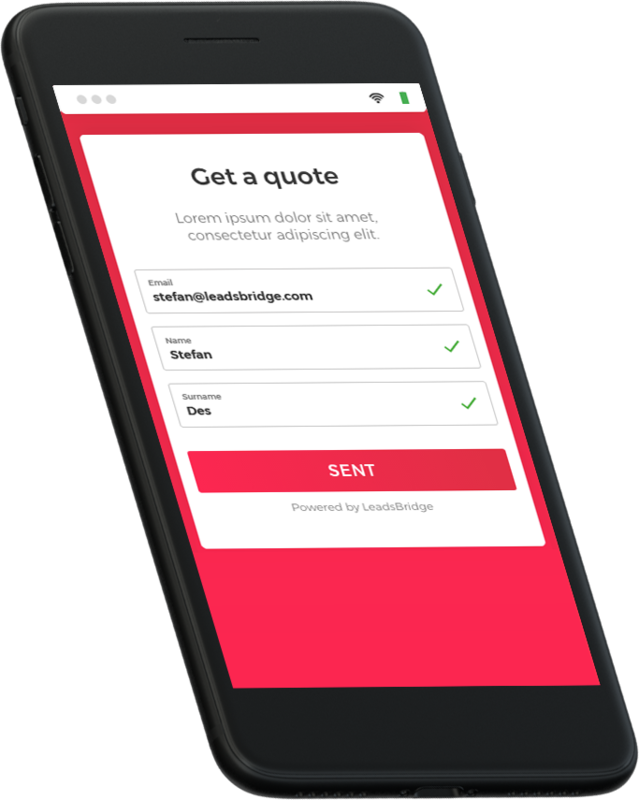 Disruptive Forms enriches data for every single lead. Integrated with over 200 systems — CRMs, Email Software, Webinars, Call Centers, you name it! 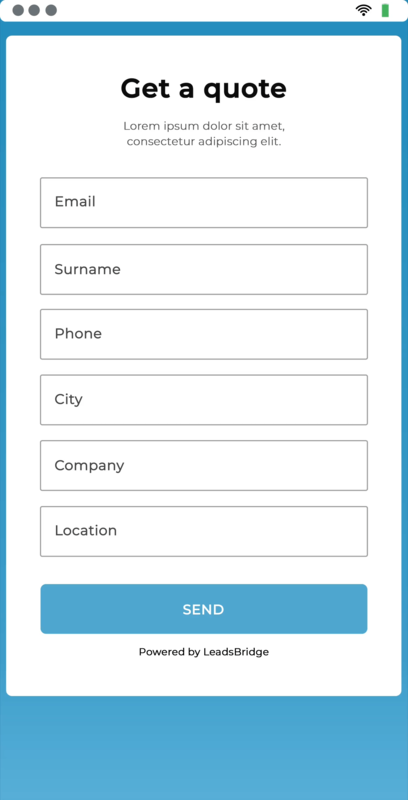 People enter their email addresses, and Disruptive Forms will fill the rest of the form for them with real data. Not just another form builder. Sorry. We focus on bringing you more leads. Shame on us. Join over 6000 Elite marketers who have already started doubling their lead gen results. We fill the form for them. No jokes. 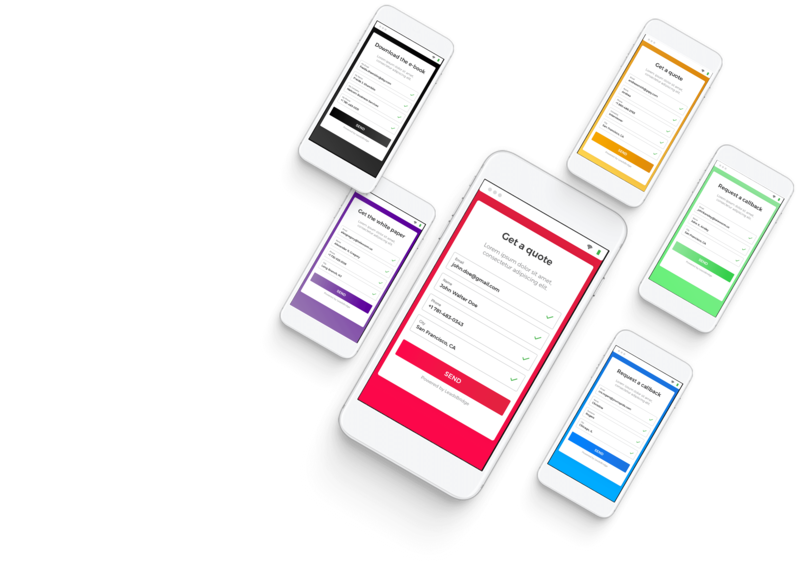 Disruptive Forms provides a unique patent-pending technology that fills the form in place of the user, with 91% matching public web-data. 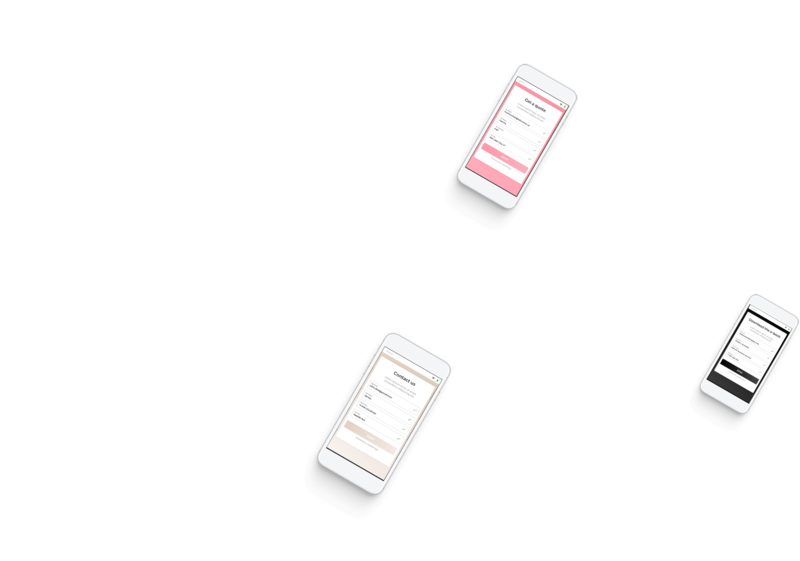 User easily enters email address, and Disruptive Forms does the rest, avoiding form abandonment and doubling your conversion rate. 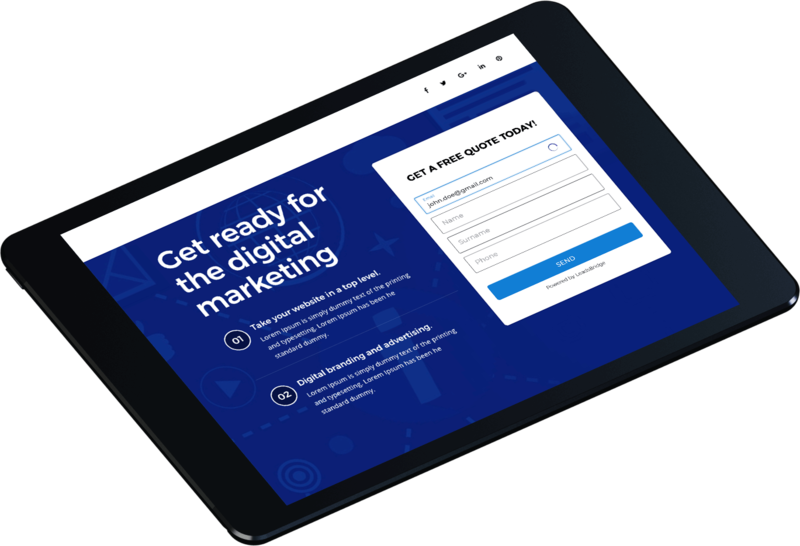 2X your leads from day one. That’s right. LeadsBridge customers help each other. 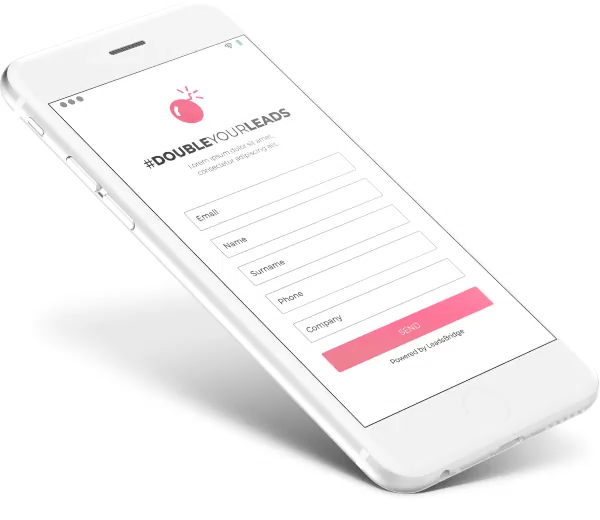 If a lead submits a form on one of our customers’ websites, then your forms will be pre-filled with the same information. Say hi to your new asset. A mind-blowing technology that automatically recognizes additional devices of the same person, pre-filling forms whatever device is being used. Charming on every single device. Collect more leads while asking less. Long forms collect better leads. Short forms collect more leads. empowered by our Lead Enhancer. Bio: Co-founder at LeadsBridge. Lead Generation and sales funnels enthusiastic. Currently engaged in helping companies reach 1B collected leads by the end of 2019. 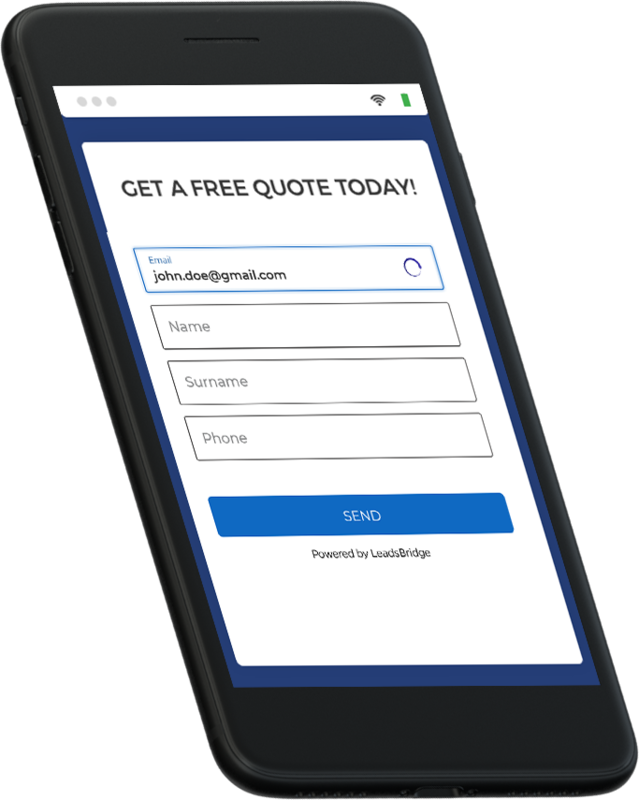 LeadsBridge Lead Enhancer enriches your lead data and gives you necessary insights, even if you didn’t collect them through the form. Fill the form below to be contacted by one of our managers.